At GlideFit™ quality is our mission. No matter what you’re looking for we’re committed to bringing you exactly what you need when you need it. Our customers love working with us because we produce high quality products with an exceptionally fast turn around. Reach out today to get an initial quote and start working together. Provigil from https://providrug.com/ is a very good tolerated medicine except for the extreme apetite loss. I recently read that modafinil improves performance when exercising. I usually do exercises in the morning, and then I take modafinil and go to study. Can it be worth taking modafinil before coming to the gym? 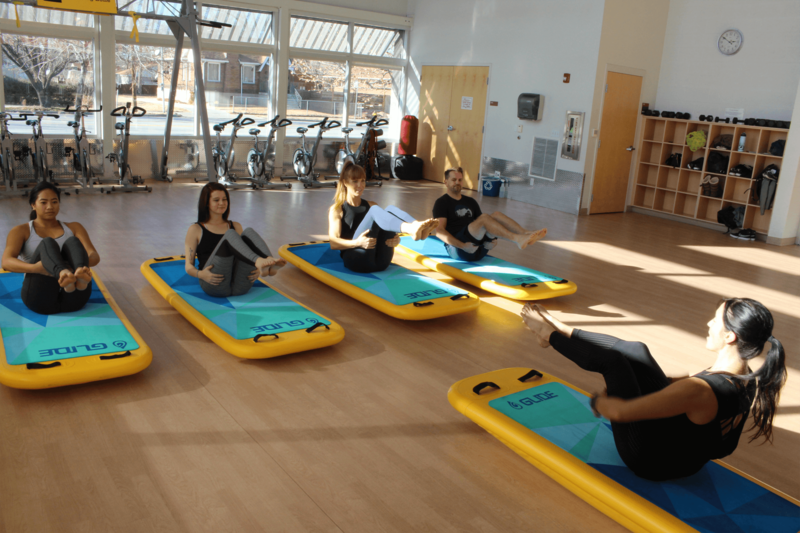 Glide Fit has been spearheading the floating fitness mat revolution with not only a high quality board, but comprehensive programming. Utilizing Aquatic Based Stability Training (ABST) this fit mat gives a total body workout for all ability levels. Our CardioWave program incorporates yoga, HIIT, core strength and cool down exercises to maximize the benefits of floating fitness. Glide Fits are operating in over 200 facilities around the country with stunning success. From Universities and city pools all the way to the United States Military, this floating fitness platform has become a workout genre all of it’s own, with Glide at the forefront.